Dutch Flower Auction Direct Blog - New! April Social Club Box! It's a new month and with it comes a brand new Social Club Box! April's box is full of the spirit of Spring, bringing plenty of bright colours into your home! Priced at just £30 including Free UK Next Day Delivery! 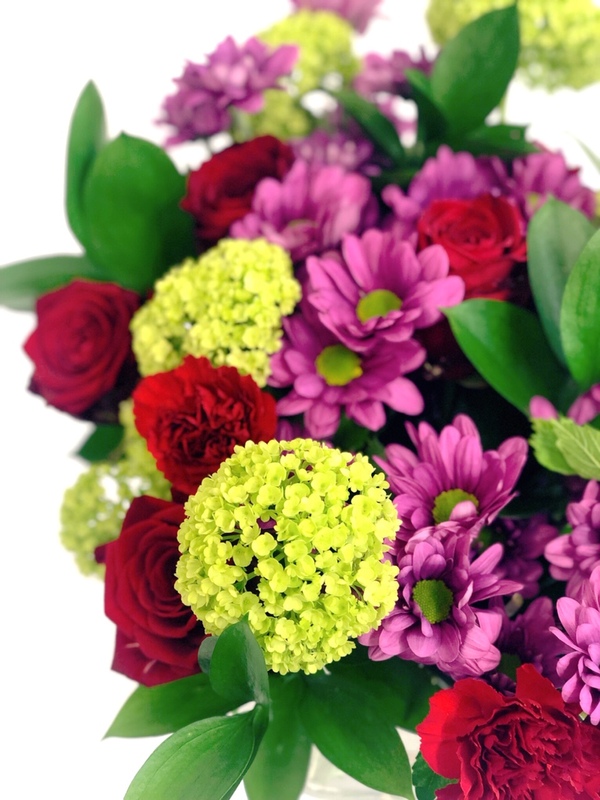 Our Social Club Boxes are designed for you to arrange your own beautiful bouquet at home. Your flowers will arrive carefully packaged straight to your doorstep, ready for you to work your magic and arrange at home. 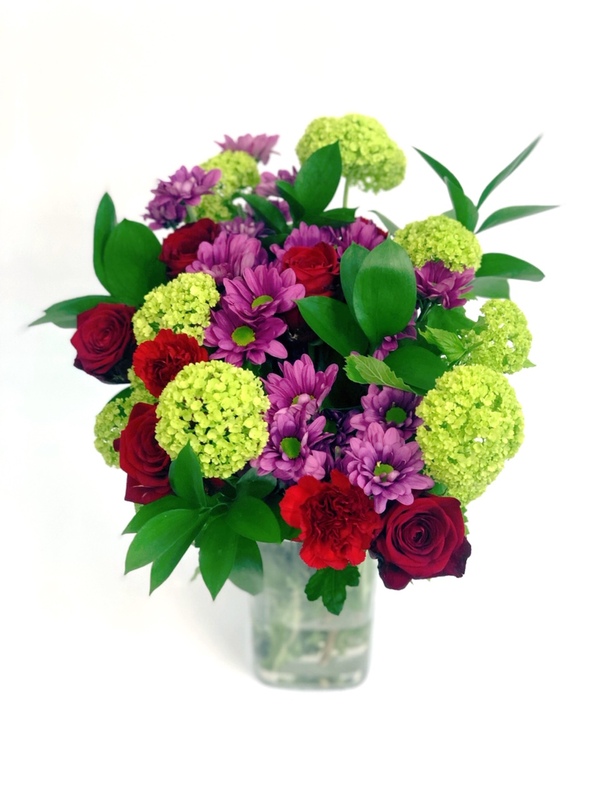 Our April box includes - 5 red naomi roses, 3 stems of viburnum snowball, 3 stems of red carnations, 3 stems of memphis pink chrysanthemums and 5 stems of hard ruscus.